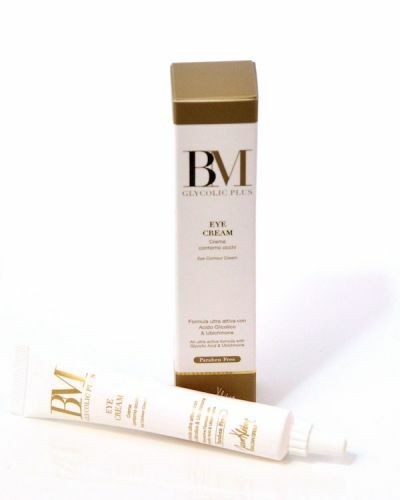 This BM Glycolic Plus cream provides the combination of a gentle exfoliating action and the effective antioxidant activity of Ubiquinone, this superb cream dramtically reduces the depth of the thin lines and eye contour wrinkles, immediately moisturising the area permanently, it improves texture and tone. - Immediately hydrates the treated area with long-lasting effects. - Improves the structure and tone of the skin. Apply to the area around the eyes (well cleaned) with a small amount of product. During the first week we recommend a single application, preferably in the evening and then move on to two applications per day from the second week.